I haven’t been to masses of concerts really. I don’t like the idea of being all squashed in a crowd. Last year we were lucky enough to get tickets to the Radio One Big Weekend and it was walking distance from our house, which was great, but by the time the Foo Fighters came on I just wanted to be out of the crowds, so I went all the way to the back and danced away by myself in a big space! Dave Grohl and co were highly entertaining, but the Big Weekend isn’t my favourite concert. Nope, the best concert experience I’ve had was quite a bit smaller. A few years ago, I got hubby (then boyfriend) and I tickets to see The Script in concert at Thetford forest. Neither of us are mega fans of The Script but I thought it would be a fun thing to do. I was, right, it was. It was just such a chilled out evening. Everyone spent the duration of the support act (I think it was Stooshie; they weren’t very good) sitting around on picnic blankets or camping chairs having a bite to eat. Then as the main act came on we packed up and moved to the front. As I said, I haven’t been to many concerts so I don’t really have much of a benchmark but The Script were fab. I enjoyed Danny’s chatter between songs and actually, I didn’t realise how many hits The Script had had! And I do love a good singalong. My feet were killing me but I was loving being in eventual-hubby’s company. I think that was the night I realised that, unless something went horribly wrong, this man would be my husband one day. Thankfully it hasn’t, and he is! It was a lovely summer evening and once the concert had ended, we enjoyed a nice walk back through the forest to find our car. Of course it was a nightmare to get out of the car park but we spent it listening to and singing along with some of the tunes we’d just heard live. 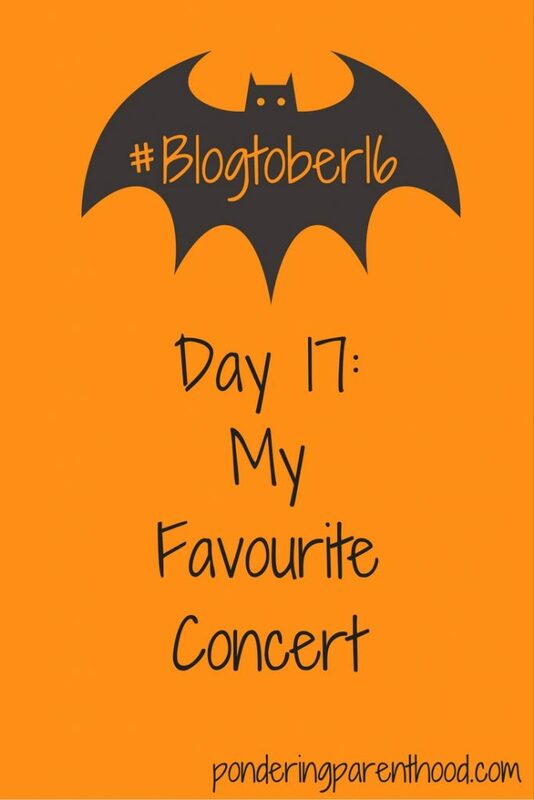 What’s your favourite concert experience? Who would you recommend seeing live? 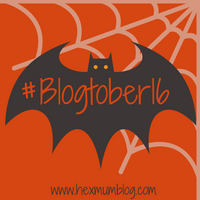 "#Blogtober16 Day 16: Tattoos and Piercings"
Aww! This sounds like a great concert….It sounds like it has some fantastic memories for you! It was, it makes me feel all warm and fuzzy when I think about it! This sounds like a lovely chilled out concert experience. I like Danny from the script he seems like a nice chap. I love Thetford forest I’ll have to check out who is performing there. I had an email yesterday to say Rick Astley will be there next year, if that floats your boat!